Since 1973 Mobley Pool Company has been designing and building swimming pools that integrate with their natural surroundings. Our extraordinary craftsmanship has been handed down from founder John Mobley to his son, Gary Mobley. Gary has maintained the tradition of excellent service, honesty, integrity, and the pride of a true craftsman. Company owner Gary Mobley grew up in the pool construction business, and after college joined his father for more hands on experience. Gary admits that he gave little thought to doing anything else. “I always knew I would work with my father.” Since joining his father 1974 Gary has continued to be available to customers past and present for questions, concerns or just to have a Dr. Pepper. As well as oversee all construction on a daily bases. We at Mobley Pool Co. have built our reputation on fine design, quality craftsmanship, and our commitment to give out customers the very best. Your complete satisfaction is our top priority. We work with you every step of the way including working with your landscaper or homebuilder to create a unique outdoor environment. 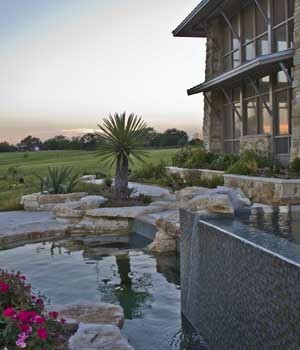 Mobley Pool Co. stands behind every pool we build to ensure total customer satisfaction. Let US make your backyard experience a GOOD one!! COMPARE---You’ll be glad you did! !